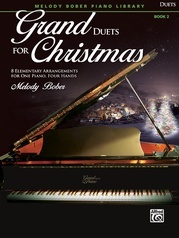 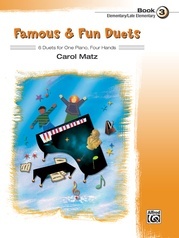 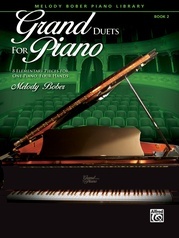 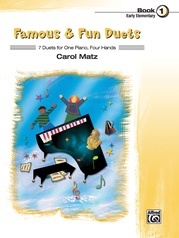 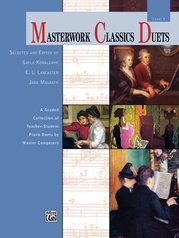 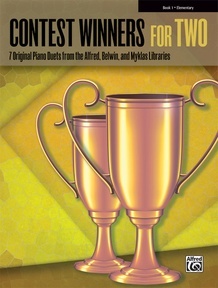 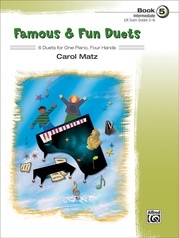 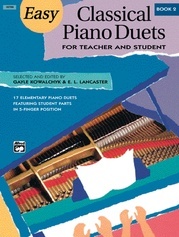 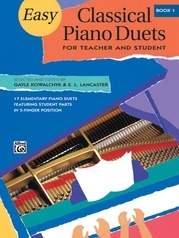 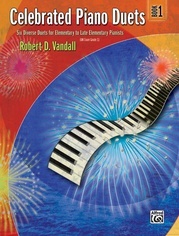 Contest Winners for Two is a series of five graded collections of original, time-tested piano duets. 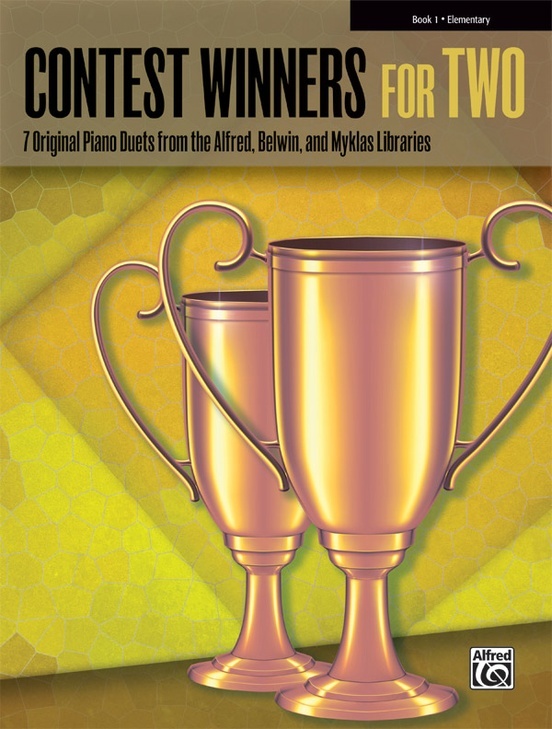 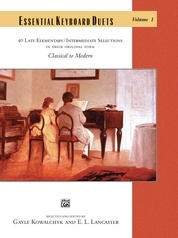 Over the years Alfred, Belwin, and Myklas produced an extensive catalogue of quality elementary and intermediate supplementary piano duets. 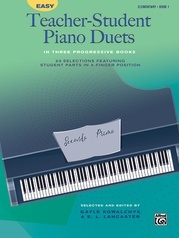 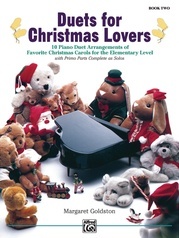 The pieces that are included in this volume represent the three companies' most popular and effective duets drawn from festival and contest lists. 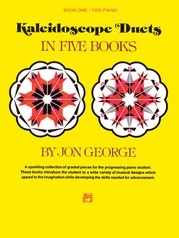 Book 1 consists of elementary pieces, placed in approximate order of difficulty. 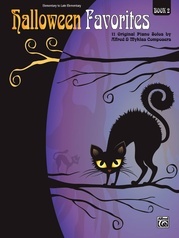 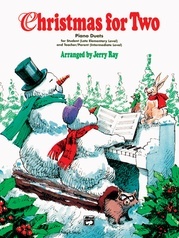 Titles: Black Key Suite: Echo Waltz, Blue Licorice, Fanfare (Robert D. Vandall) * Chickadee Waltz (Kathleen Massoud) * Jon Peter Polka (David Karp) * Thinking of You (John Robert Poe) * Turkey Trot (David Carr Glover).